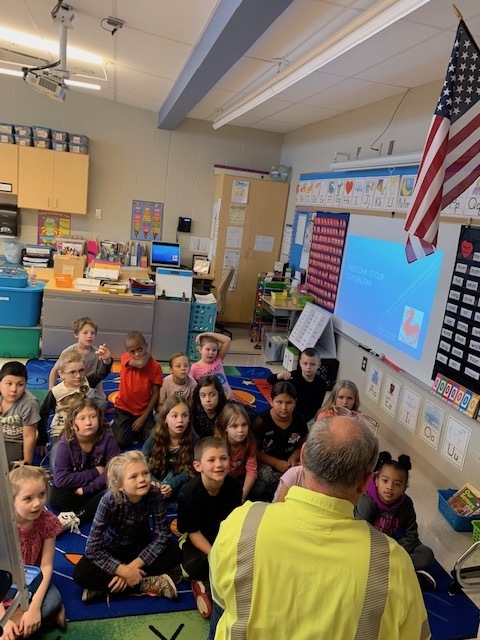 As part of a Veterans Day program, Drew Schneider, plant manager of Lordstown Energy Center, took time November 5th to read to Mrs. Amanda Tricomi’s second grade students at Niles Primary School. Drew, a Navy veteran, served on a nuclear power submarine for 20 years with deployments to the Indian Ocean and Mediterranean Sea. 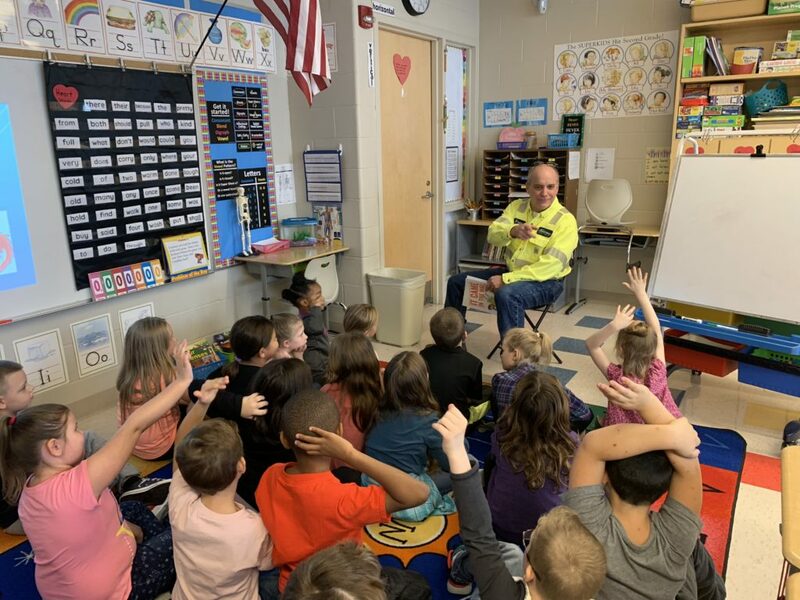 After the reading, each student received a copy of the book, Ben Clanton’s “It Came In The Mail” in conjunction with the United Way of Trumbull County’s Read 4 Fun effort. Earlier this year, several employees from the power plant welcomed Lordstown Elementary School students to their first day of school.